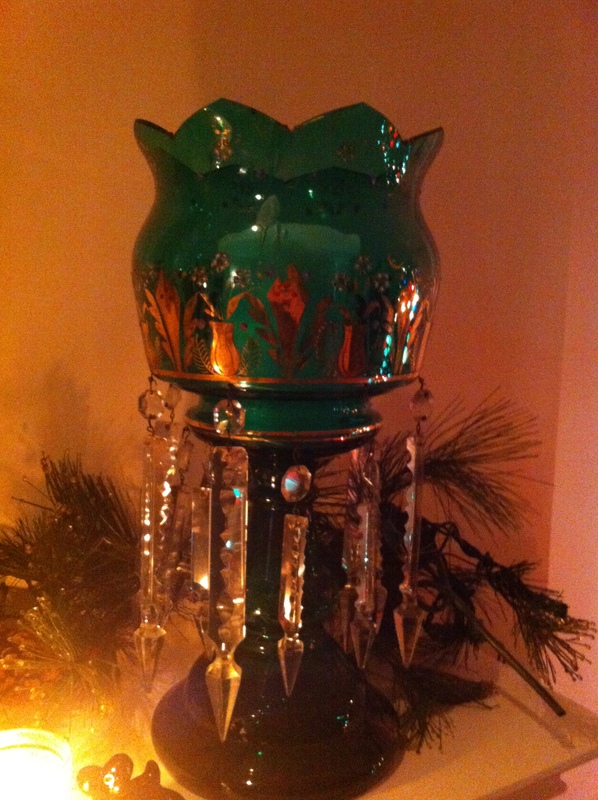 LUSTRES — These are wonderful additions to any home — especially if you enjoy vintage glass candle holders and throwing cool cocktail parties (I speak from experience he he he). Ok. So. Last night I sat in a dear friend and neighbors home to share in cocktails (yes it was after 5pm), nibbles and girl talk. We are both experts in all of these three things. On her mantle are two glorious LUSTRES. 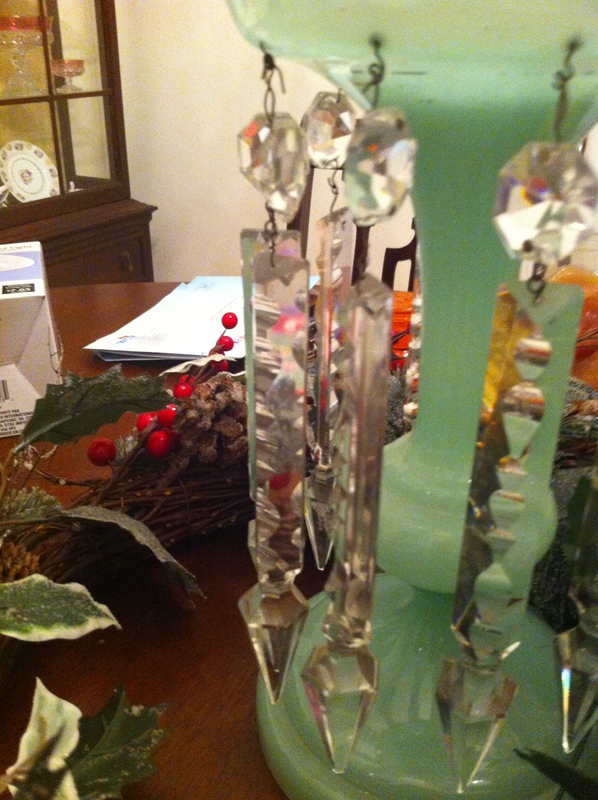 She also has a third milky green glass Lustres on her dining room table. She began to tell me the story behind these wonderful creations — I just LOVE the name Lustres. These particular Lustres sat in her Aunt Elisabeth’s home (Elisabeth with an S because she’s special!) in Greensboro, Ga. That’s located down by Lake Oconee. The home was built in 1890. A Victorian Farmhouse to be exact. Grand, sprawling, with a large covered front porch. In this home, my neighbor and her sister spent many summers with her cousin (Petula — don’t you love that name! They call her Pet -). They had Prom Parties on the front porch –this is in the 1950’s meaning boys and girls wore their best, walked around the block in pairs then went back to the front porch. What a wonderful image. 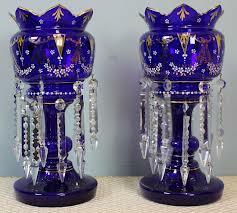 These Lustres sat on the mantle and were all through the house lit when they would arrive. 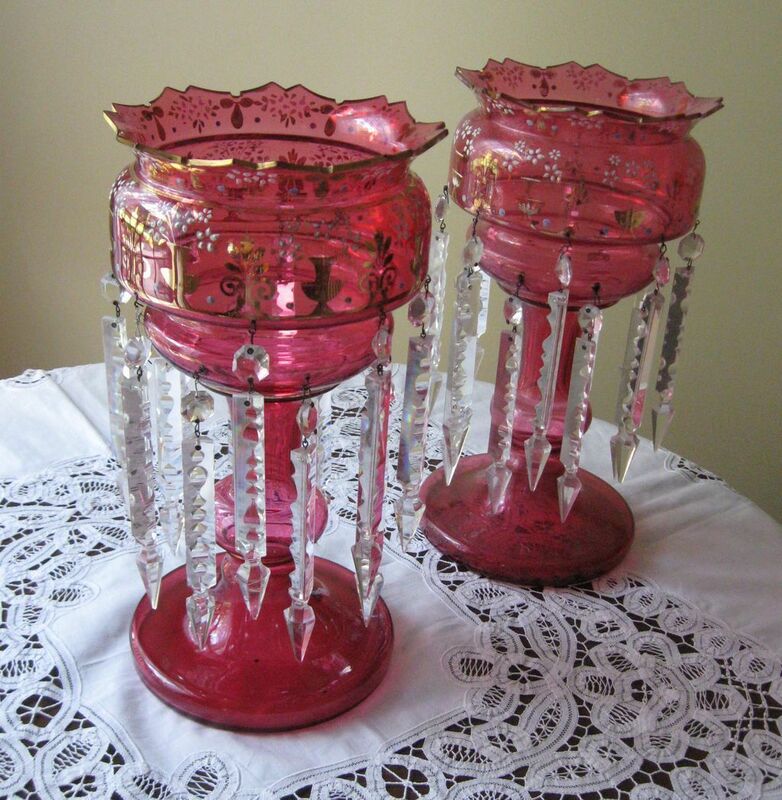 So — when you come across these fanciful glass candle holders at an estate sale/yard sale/garage sale you’ll know what they are. Think about all the wonderful memories it has been lit for. All the parties, holidays and cocktail gatherings. 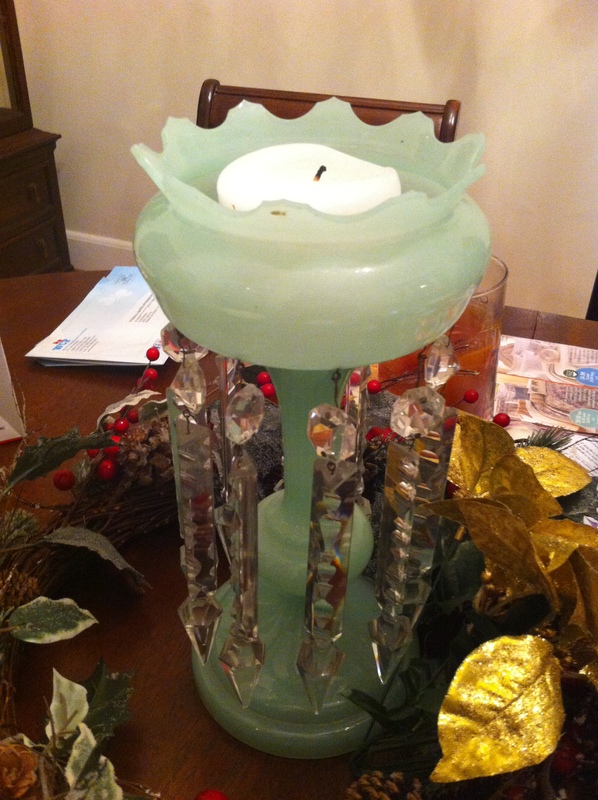 This entry was posted in Cool Beans and tagged AJC Garage Sales, candle holders, cool beans, estate sales Atlanta, Estate sales expert, Estatesales.net, Estatesales.org, Kimy Kennedy, lighting, Lustres, Peachtree Estate Sales. Bookmark the permalink. ← They asked us — and we told! Real Simple Magazine!